This book introduces concepts in mobile, autonomous robotics to students in Computer Science. The book covers principles of robot motion, forward and inverse kinematics of robotic arms and simple wheeled platforms, perception, error propagation, etc. This book bridges the gap between playing with robots and studying robotics at upper undergraduate levels to prepare for careers in industry and research. Robotic algorithms are presented formally, but using only calculus, matrices and probability. The book provides answers by developing a general principle - homeokinesis, the dynamical symbiosis between brain, body and environment -that is shown to drive robots to self-determined, individual development in a playful and embodiment-related way. A mathematical formulation of the kinematics, dynamics, and control of robot manipulators. It uses mathematical tools that emphasizes the geometry of robot motion and allows a large class of problems to be analyzed within a unified framework. 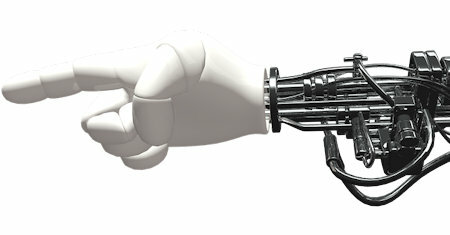 Robot motion planning encompasses several different disciplines, most notably robotics, computer science, control theory and mathematics. This volume presents an interdisciplinary account of recent developments in the field. This book is geared towards students, teachers, hobbyists and researchers interested in intelligent robots. It explains what robots are, what they can do, and how to program them. It includes a short theoretical part and a longer practical part. This introductory book offers a distinctive blend of computer science and control theory. The book presents a broad set of tools for understanding coordination algorithms, determining their correctness, and assessing their complexity. Swarm robotics is focused on the coordination of decentralised, self-organised multi-robot systems in order to describe such a collective behaviour as a consequence of local interactions with one another and with their environment. From Bricks to Brains introduces embodied cognitive science, and illustrates its foundational ideas through the construction and observation of LEGO Mindstorms robots. The book places a renewed emphasis on sensing and acting. This book provides the readers with the knowledge of Simulated Annealing and its applications in the various branches of engineering. We encourage readers to explore the application of Simulated Annealing in their work for the task of optimization. The book on advanced research on multi-robot subsystems, naturally motivated by the challenges posed by robot soccer, but certainly applicable to other domains: reasoning, multi-criteria decision-making, behavior and team coordination, etc. The authors cover a large range of the problems encountered in the motion planning of mobile robots including obstacle avoidance methods, navigation and localization techniques, environmental modelling or map building methods, etc. In this book we focused on two areas of mobile robotics, Perception and Navigation. This is a wide overview of different navigation techniques dealing with local and control aspects and handling global navigation aspects of robots. The book covers many aspects of the research in mobile robotics. It deals with different aspects of the control problem, especially also under uncertainty and faults. Mechanical design issues are discussed along with new sensor and actuator concepts. This book, which presents outstanding work from the leading HRI researchers covering a wide spectrum of topics, is an effort to present the important contributions in HRI. The book will provide a thorough understanding of the field of HRI. This book presents techniques and experimental results in the area of evolutionary robotics. Evolutionary robotics is a new method for the automatic creation of autonomous robots. The authors explain a variety of real robots in different fields.